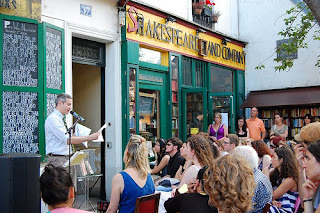 Photo from NYU Creative Writing Program readings at Shakespeare and Company in Paris, featuring Darin Strauss. If you’re looking to use a low-residency program to not only earn your MFA but experience a great locale, this new kid on the block might be made for you. NYU has introduced a new low-residency MFA program – in Paris. The MFA Writers Workshop in Paris is a two-year program. Five residencies take place (in Paris!) biannually in January and July, while the mentorships are grounded low-res style, wherever the student resides. 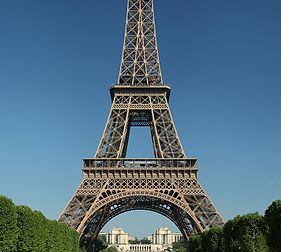 Overall, requirements include 32 credits of coursework over those four semesters, the five ten-day residencies (did I mention those take place in Paris? ), and a creative thesis (novella, collection of short stories or poems, etc). Faculty include Nathan Englander, Meghan O’Rourke, Matthew Rohrer, and Helen Schulman. Special visiting writers include Anne Carson, Robert Currie, Lydia Davis, and Geoff Dyer. Departmental funding is not available, but students may seek external scholarships and grants here. The MFA Writers Workshop in Paris is now accepting applications for the Spring 2013 term. Students may apply for either the MFA in Fiction or in Poetry. The admissions deadline is September 15th. All applicants must submit online using the GSAS Application Form only. No portion of the application should be mailed directly. For more information about the MFA Writers Workshop in Paris, including details on academics, housing, costs, and the application process, please contact the NYU Creative Writing Program at 212-998-8816 or creative.writing@nyu.edu.